We are currently seeking qualified native English speakers for a position teaching M.1-M.5 from Australia, Canada, New Zealand,South Africa, UK, or US. Applicants must have a Bachelor's Degree in any subject, and preferably 1-2 years of experience teaching ESL. 18-22 hours per week and possible extracurricular obligations such as training students for competitions. Pay is commiserate with qualifications. 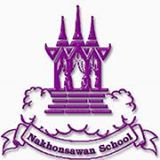 Nakhon Sawan school is the provincial school for Nakhon Sawan Province located in central Thailand. It is continually ranked among the best secondary schools in Thailand, and focuses primarily on Math and Science. Almost half of the students at the school hail from neighboring provinces, and earned their spot through rigorous selective testing. Nakhon Sawan is a large provincial city with most of the amenities of Bangkok without the hustle and bustle. Successful applicants to this position will be motivated and charismatic, able to show a passport from one of the above mentioned countries, and able to show a diploma and transcript from an approved western university. Unqualified applicants should not apply.